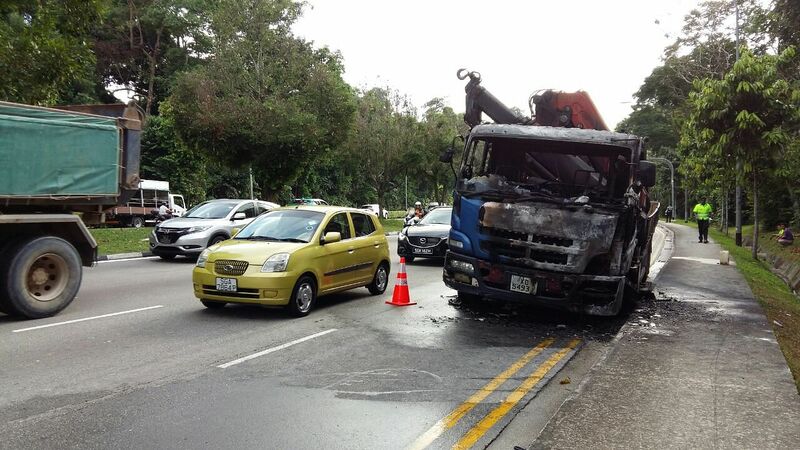 SINGAPORE - A lorry caught fire along Lornie Road on Tuesday (Sept 5) morning, sending plumes of smoke into the air. The accident caused a massive jam that led all the way to Braddell Road. 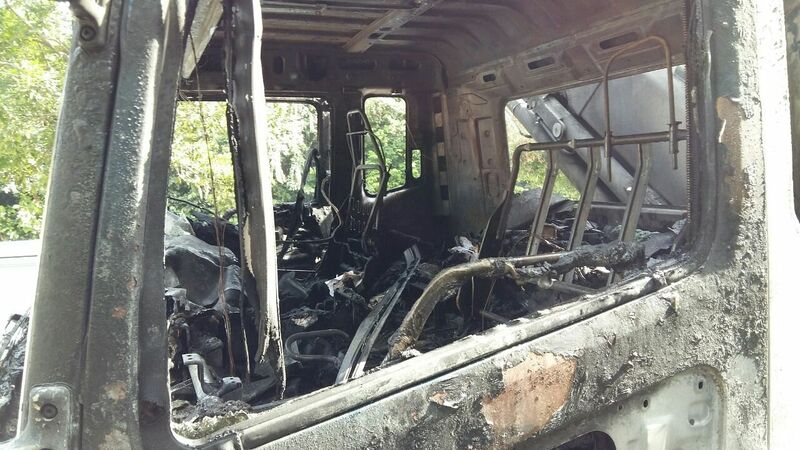 The Singapore Civil Defence Force (SCDF) was alerted to a case of fire at about 7.35am. One fire engine, one Red Rhino and two fire bikes were deployed to the junction of Lornie Road and Sime Road. The fire was extinguished by SCDF using a hosereel. No injuries were reported. Sales executive Ryan Lee, 30, was passing by the location on the way to work at about 7.50am. "There was very thick smoke coming out of the burning vehicle, and only two lanes were passable," he said. He added that there was a jam heading in the direction of Farrer Road, though he was unaffected as he was on the opposite side of the road. 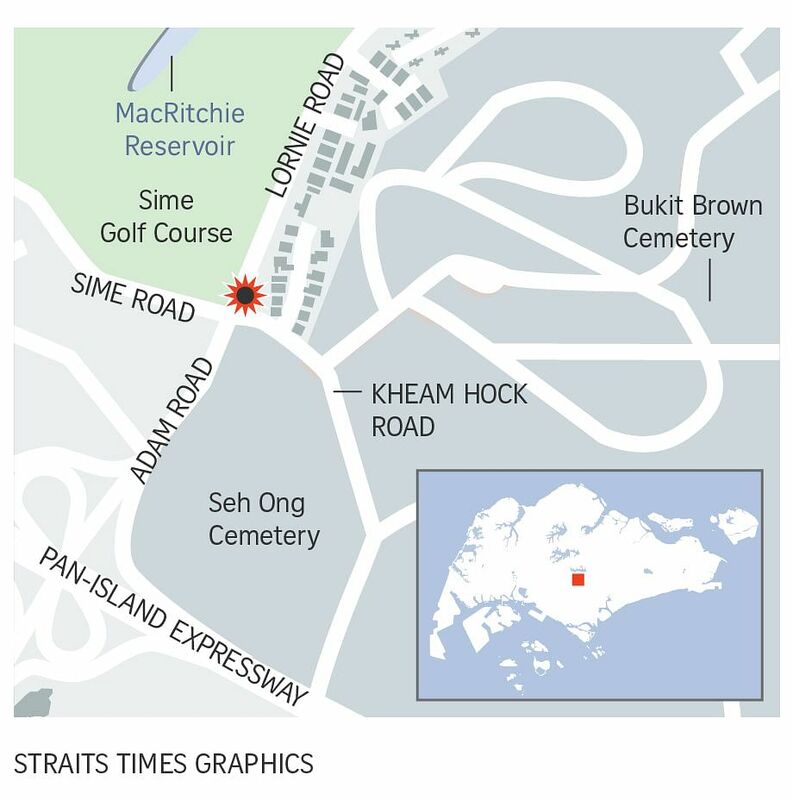 The lorry driver, who was still at the scene when The Straits Times arrived at 9.05am, said: "I was driving halfway when I saw a small flame, so I came out of the lorry. I don't know what happened." He declined to give his name or say which company he works for. "Luckily I didn't get injured as the fire grew quite large," he added.